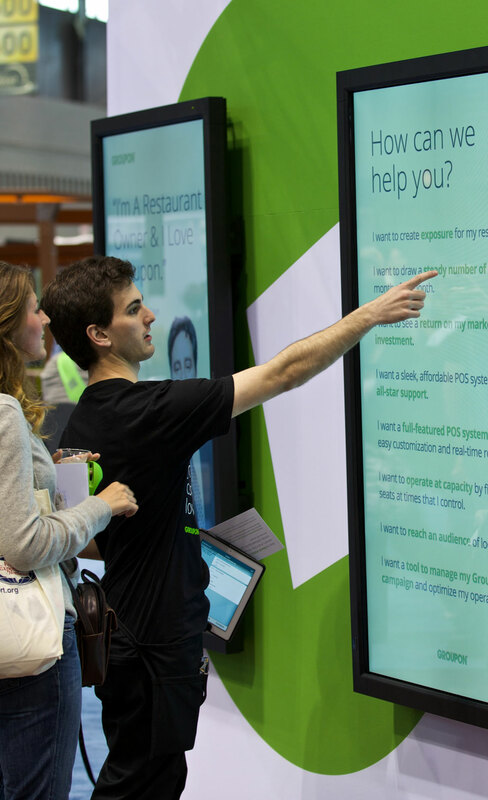 Interactive technology at trade shows entices attendees, sets your company apart, and creates the most memorable impression of your products and services. Capitalize on the opportunity to reach new customers and strengthen your brand messaging. 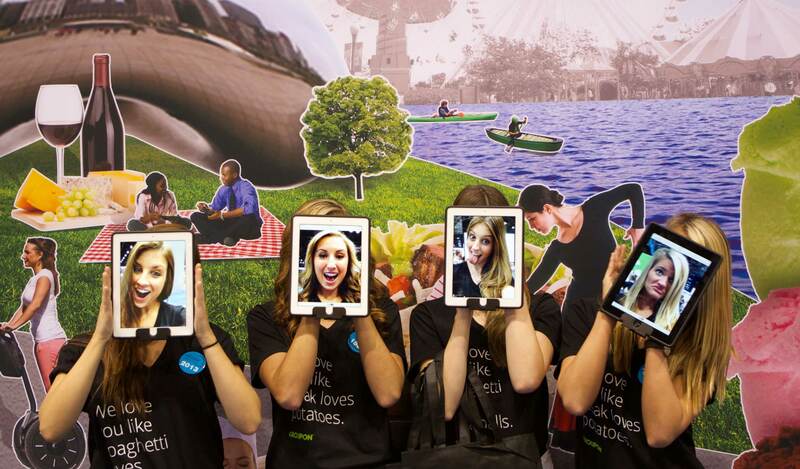 Your presence should be more than just a booth, it should be an experience attendees will remember. 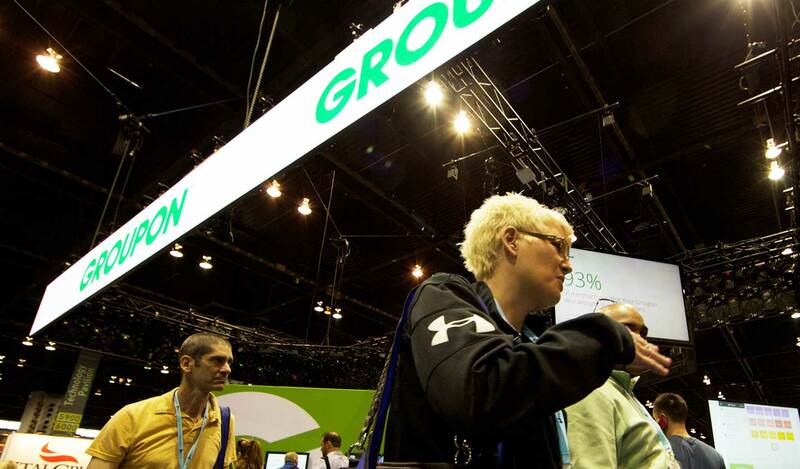 We partnered with Groupon to create a smart, interactive exhibit booth that would attract, engage and educate attendees on the Groupon brand and its multiple products. The interactive booth design incorporated suspended LED panels that enticed attendees from afar. 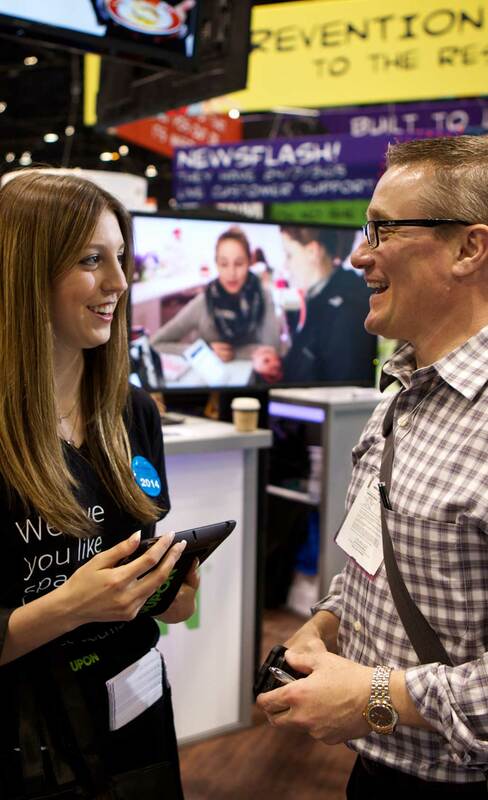 Brand ambassadors also worked the perimeter to invite attendees into the experience and to scan merchant badges. 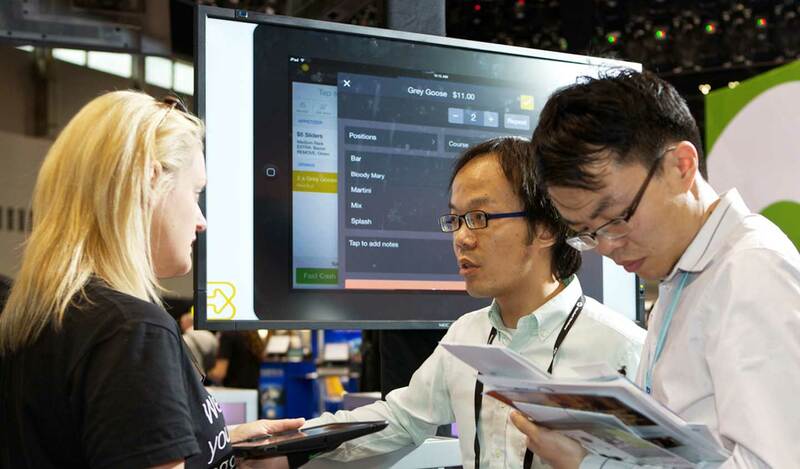 Sales and product teams attracted merchants using large format touch technology providing an immersive and unique product walk through that provided attendees an experience unlike any other.